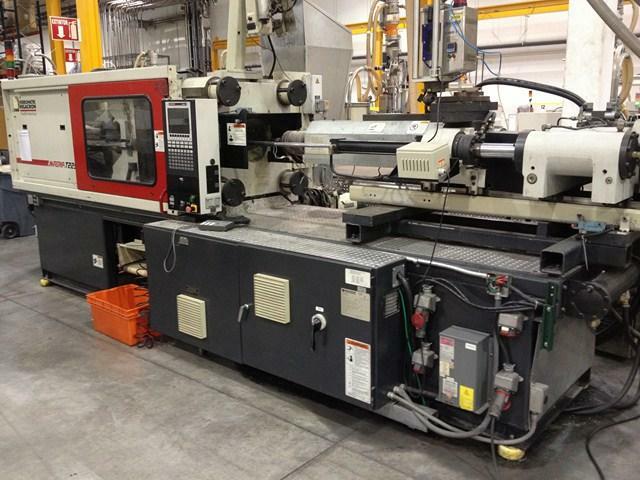 MTS-225 | Bridgville Plastics Inc. Combining the advantage of a precise and accurate toggle mechanism with advanced user-friendly controls, the Magna T Servo is a high-value injection molding machine. Reduced heat generation results in longer life for the hydraulic components and enhanced oil life, while the head load on the factory floor and cooling water consumption is reduced. Magna T Servo offers energy efficiency while providing outstanding repeatability, increased accuracy and precision. The Magna T Servo has a quiet gear pump resulting in substantial noise reduction. Its toggle mechanism is optimized for fast cycling and reduced platen deflection and its servo motor design has increased reliability, lower maintenance costs, all while reducing energy consumption, lowering operating costs. Tie Bar Spacing: 22.4" x 22.4"